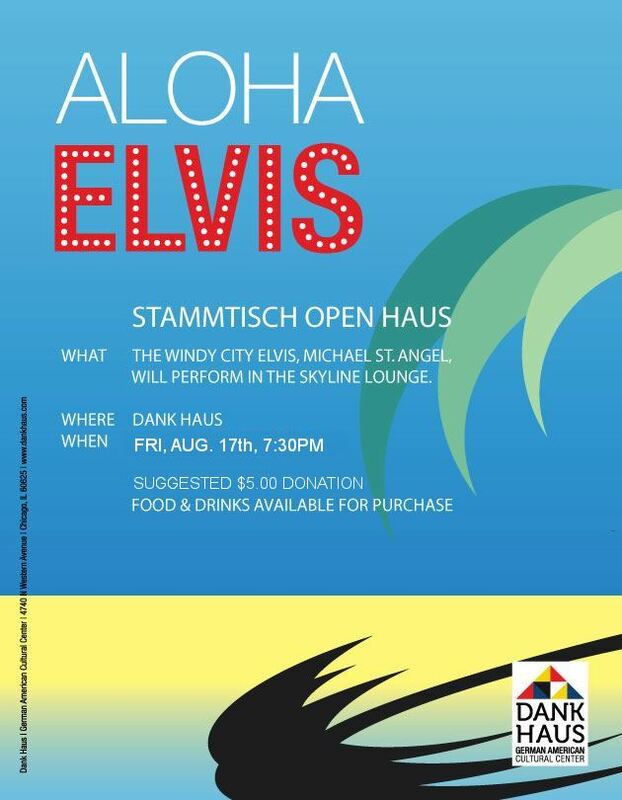 Grab your blue suede dancing shoes and join us for an evening of live music with The Windy City Elvis, Michael St. Angel! You'll hear greatest hits from "The King" while enjoying cold German beer and your favorite German snacks. This event is open to the public with a suggested $5.00 door donation.